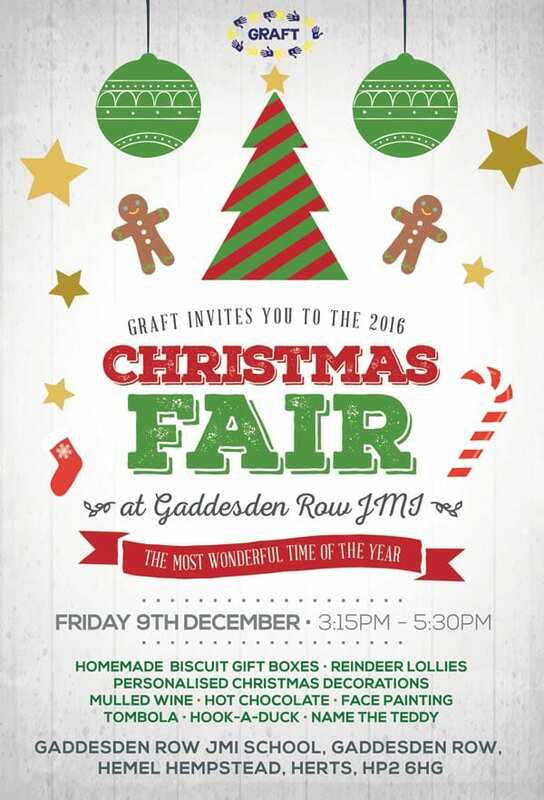 Graft invites you to the 2016 Christmas Fair at Gaddesden Row JMI. Friday 9th of December at 3.15PM – 5.30PM. Homemade biscuit gift boxes, reindeer lollies and personalised Christmas decorations. Enjoy a glass of mulled wine or a hot chocolate whilst playing the tombola, get your face painted, hook-a-duck and name the teddy.